There is plenty of fear mongering to go around, circulating through regular media channels and coming from the podiums of ambitious politicians. When you think about the amount of theater that goes into creating a culture of fear, it’s no wonder people become desensitized. Either everything is to be feared, and we all must run and hide behind government’s leg, or nothing is to be feared because it’s all just a charade. If only it were that simple! Regardless of the academy award winning performances by our punditry and politicians, facts are facts. There are real threats out there, just as there are false ones, and in the age of information it’s for each individual to sift through the pile and sort out what’s what. Having worked hard for what I have, I’m particularly sensitive to things that threaten the fruits of my labor. I have no problem paying for something of value… I have a serious problem with someone holding me up at gunpoint to steal my money. This is why we write so much about civil forfeiture, taxation, FATCA, and expropriation. These are all very real practices and policies. For me and people like me, they are a constant threat to my property. What happened in Cyprus in 2013, was a pivotal moment. “Bailing in” banks by robbing the accounts of private citizens devastated businesses and citizens alike. While this certainly wasn’t a new concept, this event took it out from the shadowy sidelines and put it on the table as a viable option… not just for Cyprus, but the entire EU. Aside from the fact that the Eurogroup top brass was heard referring to Cyprus as a “template” for future situations like it (“Cyprus is the Template on How to Fail”), David Cameron threw it out there too. He said it a year and a half ago in fact suggesting that either the government be able to take what it feels it is owed or he will have no choice but to raise taxes. That ultimatum sounds like: Either you hand over your money or I’m going to take it from you. This policy was meant to be instituted just last year (2015). Its stated purpose is to go after roughly 17,000 people who are deliberately tax delinquent making up for nearly 100 million pounds per year. Until this policy, the government needed a court order by judge or magistrate to confiscate funds. Now, all you need is four warnings. I couldn’t find anywhere indicating the exact problem with the initial due-process route. It is likely more time consuming. But the amount of concerns which surfaced when the idea was put to them is far more disconcerting. Lest there be any confusion: I don’t like taxes. I opposed them. I cannot make a single case for them. But with that being said, even in accepting them as part of present day reality, I still oppose giving any sort of blanket or blind authority over to the state when it comes to collections. The moral hazards and unintended consequences far outweigh any possible benefit from policies like these. Britain is assured there are safeguards in place. Ok, were there NOT safeguards in place before? If not, then that’s outrageous. If so, then where were they in the circumstances described below? “The Revenue has faced repeated criticism over the accuracy of its tax records and its handling of sensitive personal data. “It admits that more than five million people are charged the wrong amount through the Pay as You Earn system because they are allocated the wrong tax code. Those aren’t tiny issues for their version of the IRS (HMRC – Her Majesty’s Revenue & Customs). 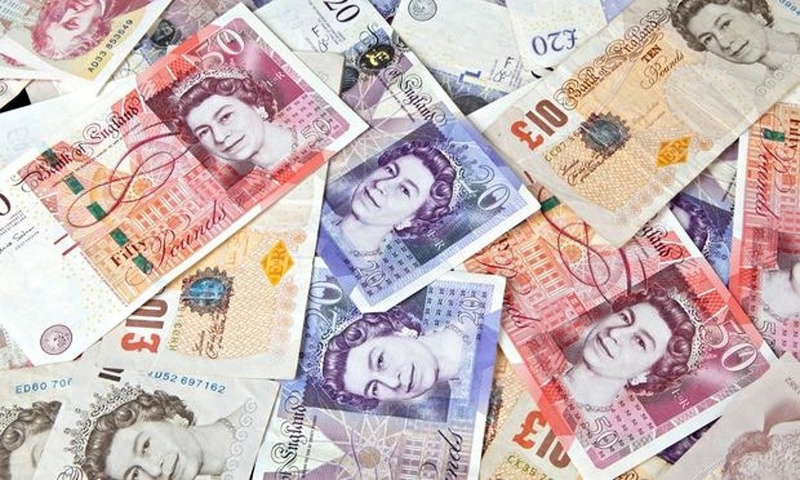 There are protocols indeed, such as they must owe over 1,000 pounds, have over 5,000 pounds after funds are drawn. They must issue four warnings. They must offer them a means of paying voluntarily. Sounds great! They were also supposed to assign the correct tax codes to the five million people they wrongly charged… so wish in one hand and crap in the other and see which one fills up first. This idea that government shouldn’t have to wait for permission from the courts as a matter of due process sets an interesting tone. How many ways in British society do you supposed are the private citizens meant to file and process papers for permission to do things? In the United States, they are told in over one million ways what they can, cannot, and must do. And if they don’t follow the protocols to the letter, they can find themselves in some pretty hot water with the government. You don’t file the proper paperwork and wait for the slow cogs of government bureaucracy to turn, you get something like the stand-off with the Oregon ranchers and the BLM (Bureau of Land Management). The MPs are not comfortable with giving the HMRC this sort of power/ability. But being uncomfortable isn’t the same as being opposed entirely to it. I’m uncomfortable with getting root canals, but I still got one as an emergency procedure because I felt in that moment it was absolutely necessary. Likewise, if the MPs are convinced enough that it is necessary, their discomfort notwithstanding, it will happen. Remember when people were uncomfortable with NDAA and indefinite detention? What did Obama say? He assured the public he would NEVER abuse that power. Uh huh. To my knowledge this measure passed and went into effect last year. All this for 17,000 people. 64.1 million people in the UK, maybe half of them are eligible to pay taxes. And they need to grant these outrageous powers to their HMRC to nab 17,000 people who might not be paying enough? These people are responsible for approximately 100 Million pound shortfall in revenues. For such a small number of people I still have to ask why due process through a court order was insufficient, and how these 17,000 supposedly leverage the fate of the UK with their withheld 100 Million pounds. 648 BILLION pounds in tax receipts in 2014, and they’re giving this sort of power to their HMRC over 100 million. That’s 0.015% of receipts. Even more staggering is the annual expenditure of the UK is 732 Billion pounds.Look 100 million pounds is a good chunk of change, no question, but the UK spends that much every hour and twenty minutes. If David Cameron couldn’t collect on this money, he said he would have no choice but to raise taxes. This hunt for the tax avoider is getting ridiculous. And more people get frantic over the fake issue of tax avoidance, the greater the opening for the REAL issue which is expropriation of funds. Is this a global inevitability? For banks, I think so. But I don’t think this is true for ALL stores of wealth the world over. There are structures and strategies that can protect you or at the very least mitigate the damage of government interference in your finances. If you are interested in learning more, click here to set up an appointment.